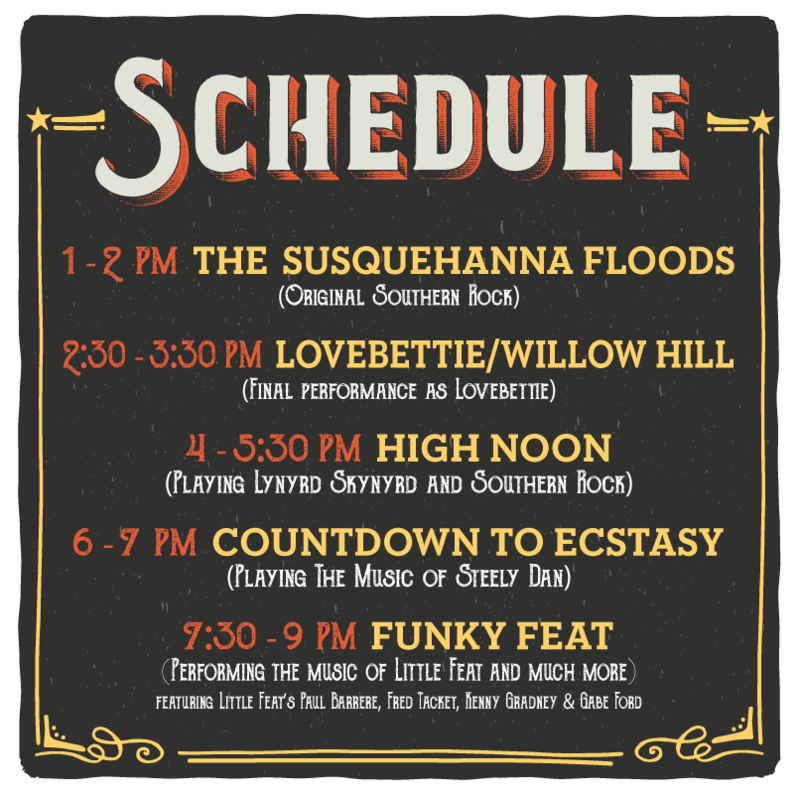 The Fortify Music Fest is back! Same great location and an awesome line up of bands. We are moving the date from the fall to the summer. 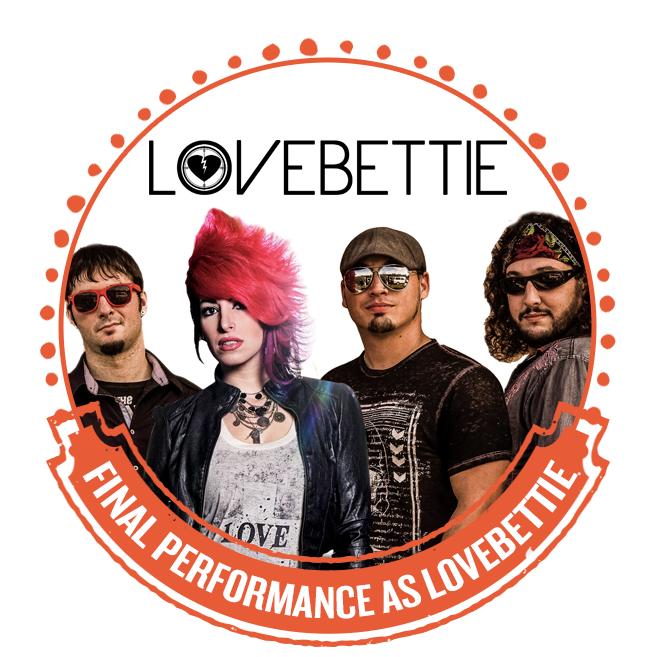 The Fortify Music Fest is excited to have some of the original members of Little Feat headlining this years concert. 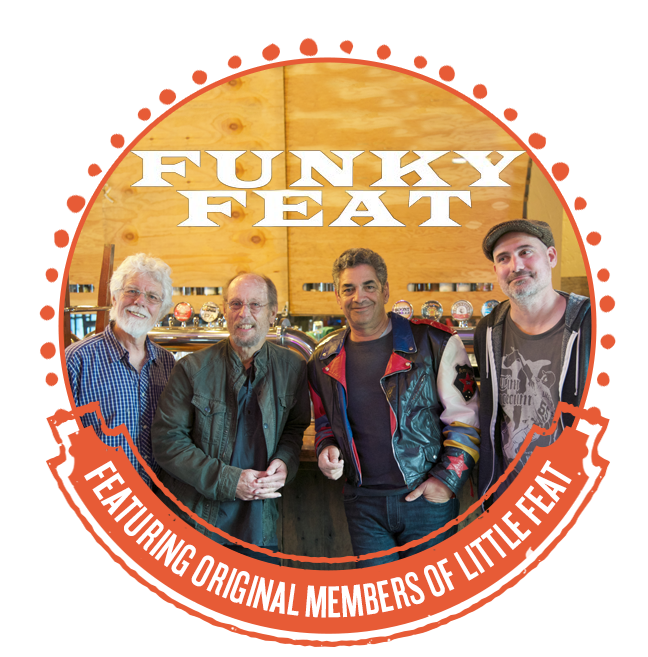 While taking a break from the 50th Anniversary Tour of Little Feat, Paul Barrere (guitar, vocals), Fred Tackett (guitar) and Kenny Gradney (bass) are joined by long time Feat drummer Gabe Ford and will be appearing as Funky Feat to make the 2019 Fortify Music Fest a day to remember. 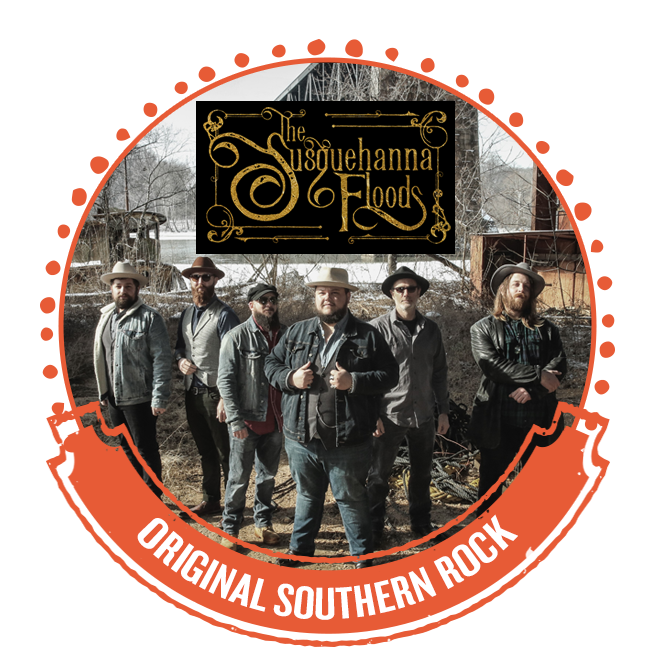 At the 2019 Fortify Music Fest, you will experience two of the best up and coming local artists, The Susquehanna Floods and Lovebettie. 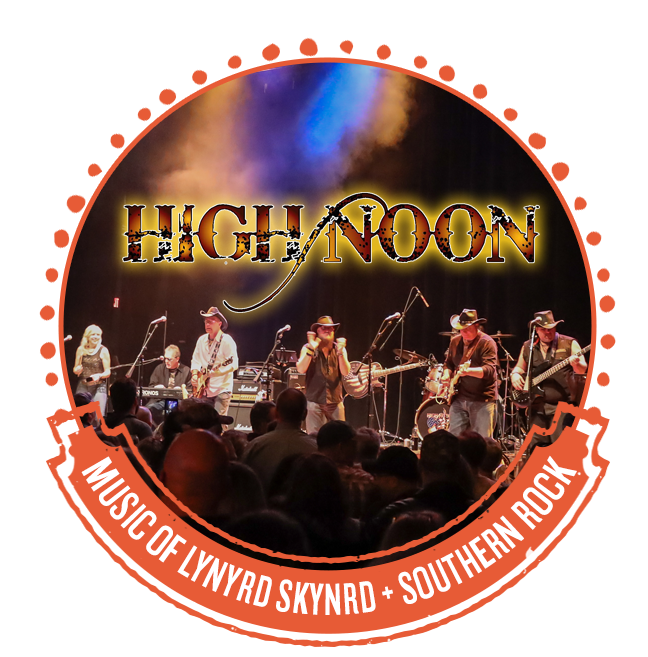 Then get ready to be “Fortified” with some great southern rock classics provided by High Noon. 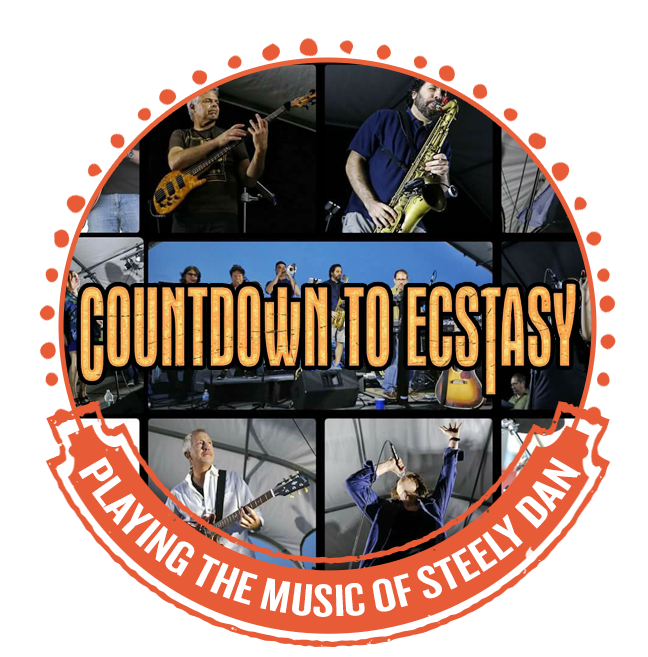 You can ease into the late afternoon with the extraordinary and iconic sounds of Steely Dan provided by Countdown to Ecstasy. Cap off the day with the legendary music of Little Feat as performance by Funky Feat. Get fortified at Fortify Music Fest 2019! There is nothing better than listening to live music alongside a body of water while enjoying a cold beer in the sunshine. 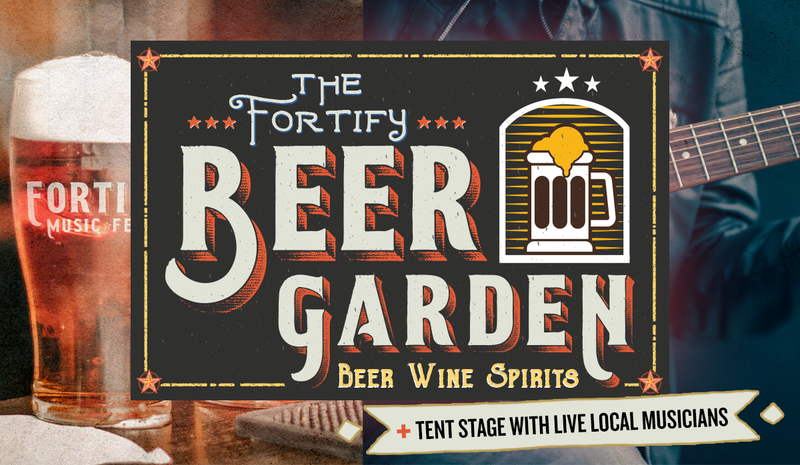 The Fortify Tent is going to have some of your favorite summer beverages and a community stage featuring several up and coming Delaware Bands! Fortify IPA will be back by popular demand along with some of the best selling craft beers from Big Oyster, Blue Earl and Yards. Just as Fortify Music Fest will become a classic, we will also have America’s classic beer on hand…that’s right, “this Buds for You.” You can also quench your summer thirst with a custom made cocktail made by Delaware’s best Distillery, Painted Stave or enjoy a refreshing Corona, Land Shark or Spiked Seltzer. So come on out and enjoy summer sounds on the community stage while sip on your favorite summer beverage! 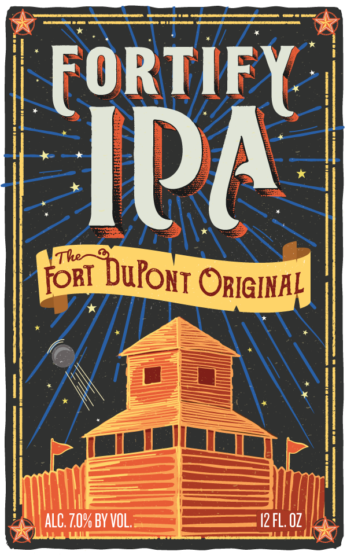 Fortify Fest is hosted on the gorgeous grounds of Fort Dupont, a historic, waterfront community centered around the great outdoors. With an 18-acre parade ground as the setting for Fortify Music Fest, guests will enjoy the expansive, green landscape and views of the majestic Delaware River while feeling the rich, historical character of the former military base and state landmark. Learn more about Fort DuPont here and follow us on Facebook. From the early 19th century inception of Fort DuPont, this community served as a bustling military site on the majestic Delaware River. Now we have the rare opportunity of creating a new lifestyle-based community that builds on its historical roots, designed around the water and great outdoors. In addition to the restoration of historic homes and commercial buildings, Fort Dupont will include a marina, hotel, restaurants, new homes, retail stores, conference center, and office space all on the waterfront. See the master plan here. Once a military installation, Fort Dupont is now being integrated into a place to call home for people looking to connect with nature, history, and community. Named after Rear Adm. Samuel Francis Du Pont, the former military post is situated on the Reedy Point tract, land originally granted to Henry Ward in 1675. A “proposed fort” was planned in 1819, which only appeared on Delaware River charts. Fort DuPont originated during the Civil War as a heavily armed earthwork fortification. Please any palette at Fortify Fest with a variety of culinary offerings from multiple food trucks. Check back here to see the Food Truck lineup for Fortify Fest 2019. Are you a Food Truck vendor interested in bringing your culinary delights to the Fest? 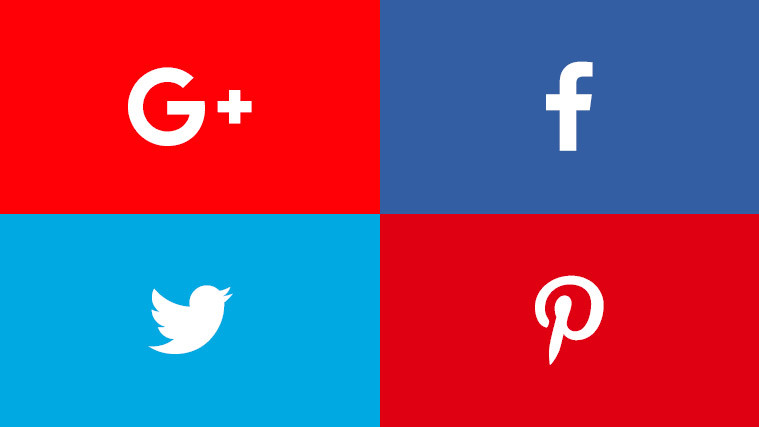 Contact Gayle Dillman at gayle@gablemusicventures.com. 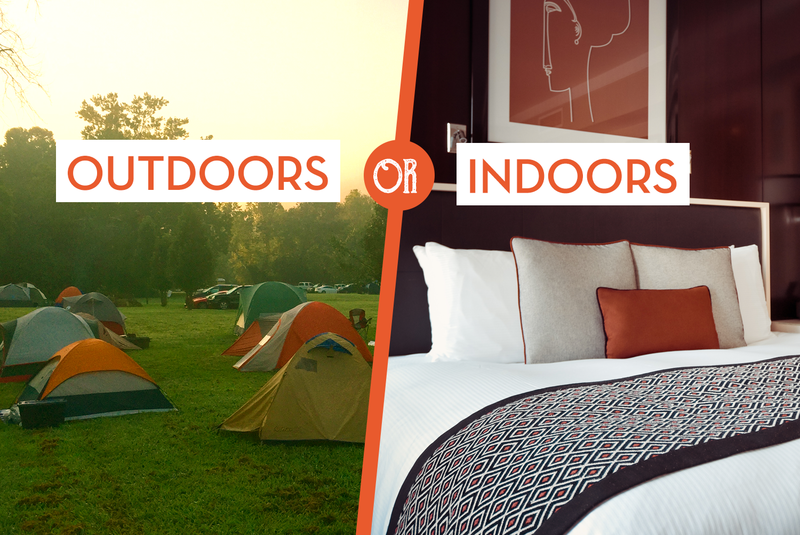 Whether you are planning on spending the night of Fortify Fest in a hotel or a tent, you will find accommodations to meet every preference and budget. From Lums Park Campground to the Delaware City Canal House, you’ll find the area has a diverse array of lodging options.